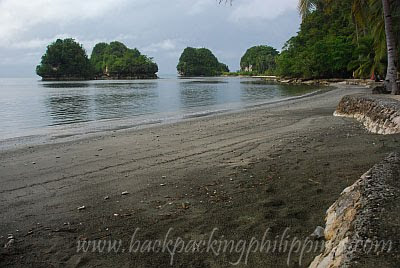 While re-tracing his earlier trip to the town of Basey and again failing to explore Sohoton Cave due to inclement weather and lack of time, Tutubi wandered past Basey and Marabut and stopped for late lunch at an eponymous resort he found in Barangay Caluwayan, Marabut town famous for it's magnificent rock formations. 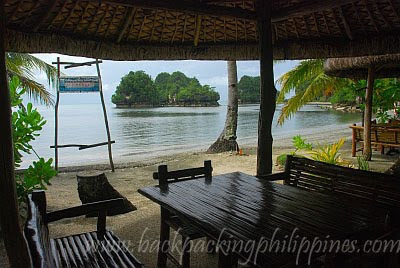 Formally named, Caluwayan Palm Island Beach Resort and Restaurant, the beach resort has a nice view of Marabut Rock Formations on the beach where you can also kayak on the serene bay with fine gray sand (and lots of jelly fishes) with the rock formations acting as natural breakwater. 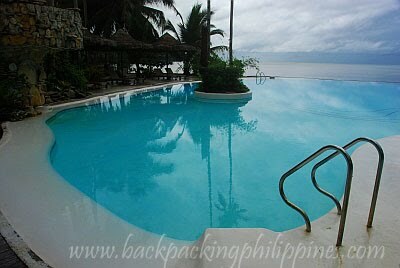 A restaurant and grill serves usual menu of fresh seafood (and a "shortage" of meat at that time) while an infinity pool beckons for people looking for a dip. 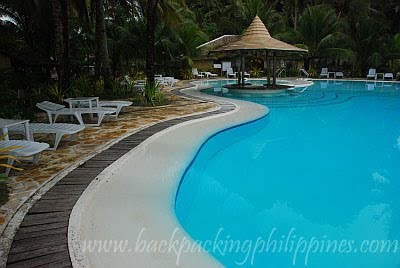 Tutubi doesn't have a full review of Caluwayan resort for he merely passed by the place in search of a place to eat late lunch before hurrying to another interesting place in Leyte and catching his return flight to Manila later in the day. For the food, his companions ordered sinigang na hipon (with souring ingredient from a leaf, not the usual tamarind), sizzling squid and vegetables with prices about P200/head. 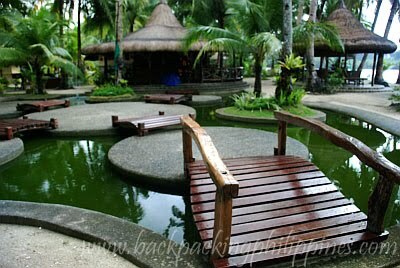 Service was fast, as expected, for they were the only guests at the beach resort at that time. For updated resort room rates, day tours, entrance fees, reservations and other inquiries, please call Caluwayan resort's published contact numbers, visit their official website or email them directly. As always, Tutubi has nothing to do with the resort nor received anything in exchange for this, he just happened to pass by the place for late lunch. The atmosphere is very relaxing. I'm sure it's a favorite among the locals. Wow, that really looks like a fantastic place!